Let Artistic create a picture for you! Copyright © 2019 Artistic Landscaping Inc. 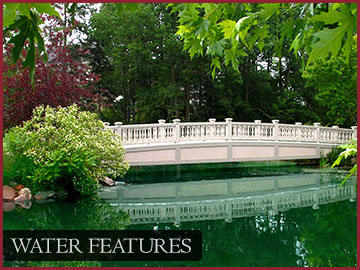 The sound of water creates a peaceful atmosphere. 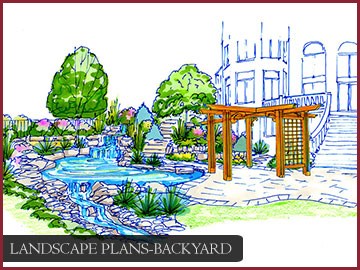 A strategically placed pond can be a final touch to a back yard. 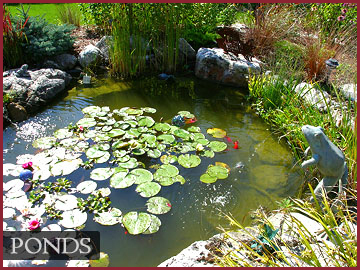 Fish and plants complement these natural features. 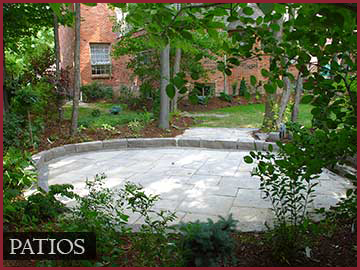 A cosy courtyard provides a place to reflect or just enjoy quiet and solitude. The atmosphere is created by the combination of both sitting area and garden accent. 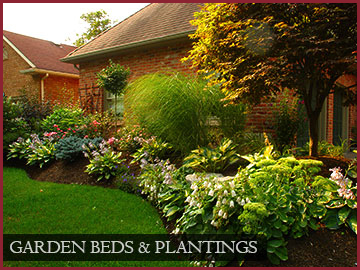 Creating aesthetically shaped beds with plants to provide year round color. 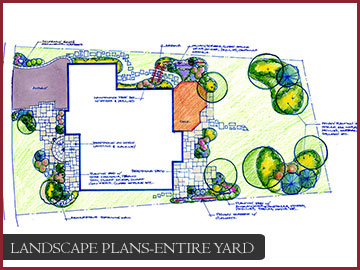 Garden beds and plants are the perfect final touch to complete your Yardscape. 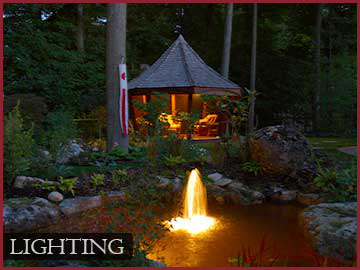 Lighting adds atmosphere to a property and extends the ambiance into the night hours. 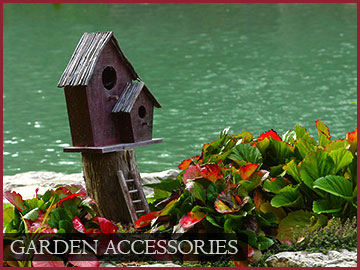 Adding the appropriate garden accessory can emphasize your inner decorator. Create a personality for your garden. The intricate details made an ordinary product appear extraordinary. 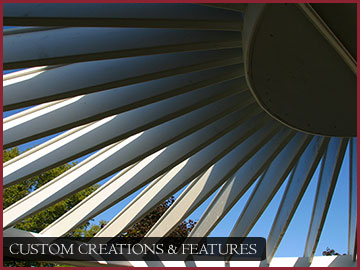 Our custom designs require precision and are only limited by imagination. 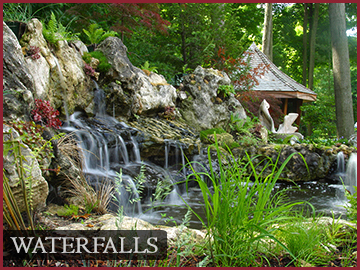 Waterfalls come in all sizes, from the tiniest trickle to a thundering flow that rivals Niagara! 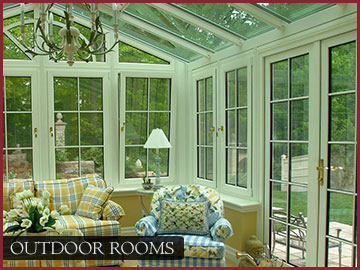 Custom designed to suit your atmosphere. 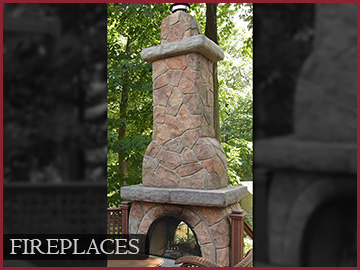 A fireplace, pizza oven or fire pit provide not only a warm glow for a cool night, but a beautiful structural element to any back yard. 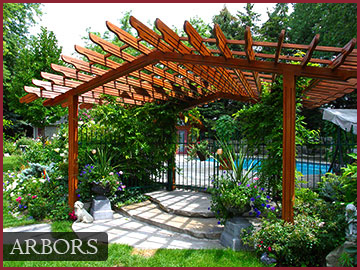 Create a pleasing arbor entrance to your front or side yard. 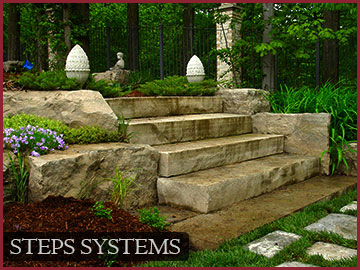 Create a room by adding privacy screening or plantings. 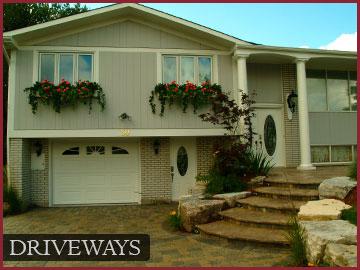 A driveway is the foundation of curb appeal. A visually pleasing foreground which sets off the beauty of any property. 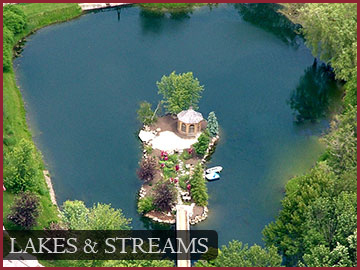 Tranquility is the essence of a lake feature. 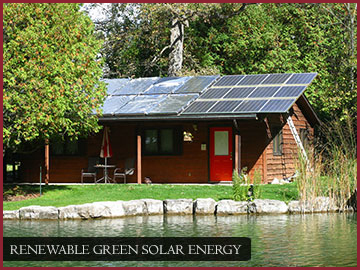 The peacefulness of nature in your own private sanctuary. 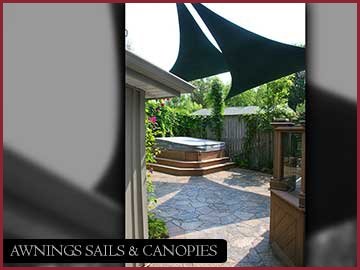 A patio provides a great entertainment area, be it the family BBQ or a neighbourhood party. Style and structure reflect personal taste. 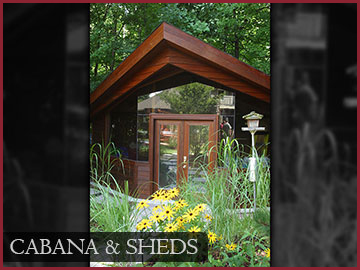 Sheds and cabanas are attractive additions to your backyard retreat. 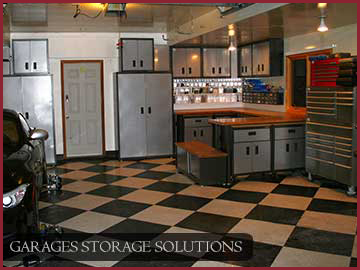 Create storage, a change room, play house or the backyard bar hangout. 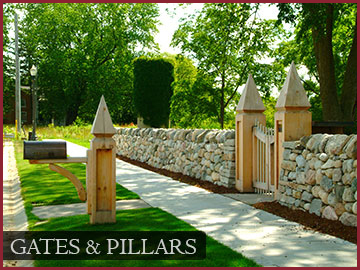 An ordinary space can become extra ordinary with a custom gate or set of pillars. They add structural interest and define the visual space. 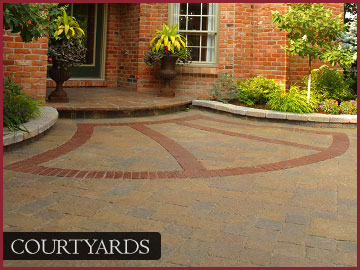 Walkways create a welcoming atmosphere to your entrance. 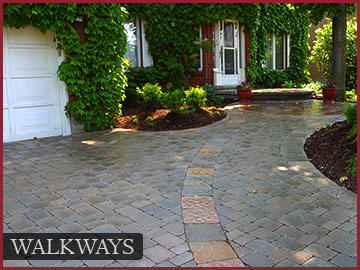 Additional pathways can guide your guests around your home. 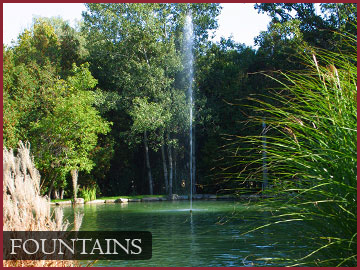 A fountain is an architectural feature as well as providing soothing water sound to any environment. 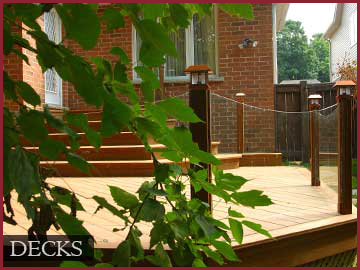 A deck is the outdoor extension of the living space in your home. A place for morning coffee and sunrise or visiting beyond sunset with friends. 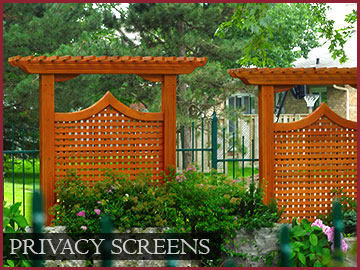 Attractive screening adds an architectural element to any garden or yard. 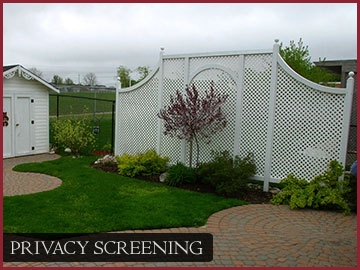 Adding strategically placed screening in your yard creates a cosy private environment. 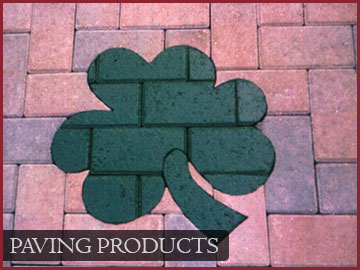 Strategically placed stepping stone are visually appealing and provide clean walking paths around your property. 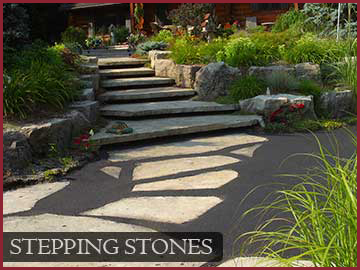 Stones flush to the grass can be easily mowed and create maintenance free access. 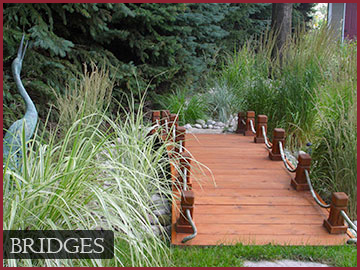 Esthetically pleasing yet functional, a bridge provides access and protection to areas of your property. 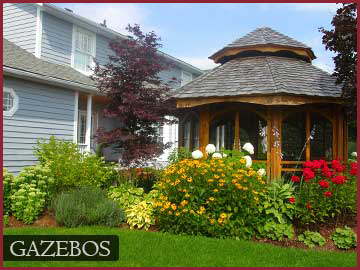 A delightful gazebo can shade from the sun, screen from the bugs and provide a cosy retreat. 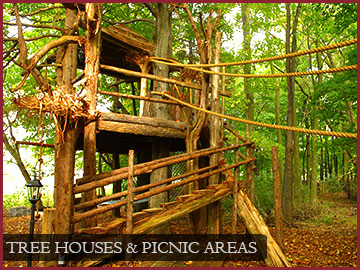 Curling up with a book or an evening with friends can happen in this indoor structure… outdoors. Good fences make good neighbours. 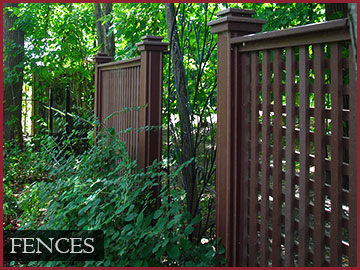 Exquisite fences are enjoyed by all. 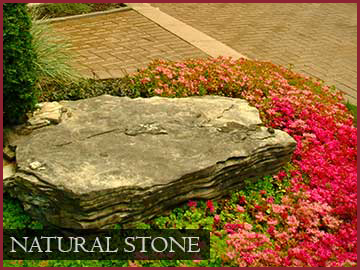 Natural stone accents have a rugged beauty that highlights colourful plantings, while providing a solid visual feature. 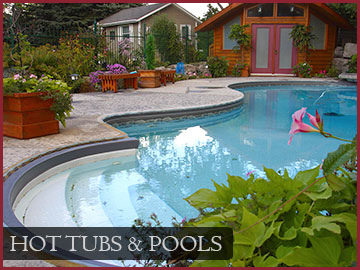 A custom pool or hot tub provides a resort feeling to your personal space. 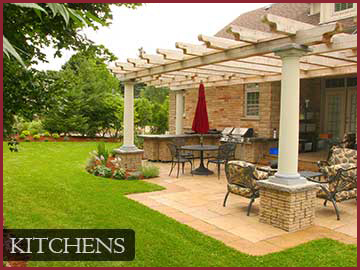 A delightful kitchen can create a seasonal outdoor living space with all the comforts of your home. Retainment can be both an attractive and functional. 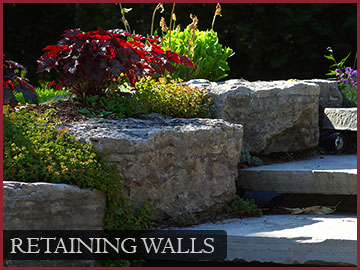 Ascetically pleasing levels and terraces add to any landscape. 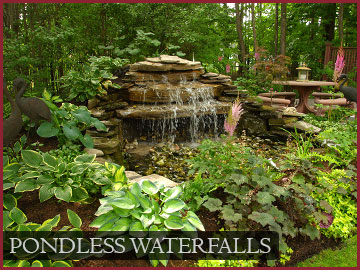 A waterfall with a pondless basin can be a maintenance free way to enjoy the sound of water. 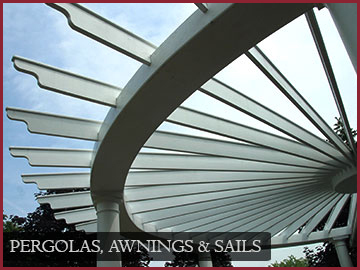 A pergola provides both atmosphere and shade from the sun. 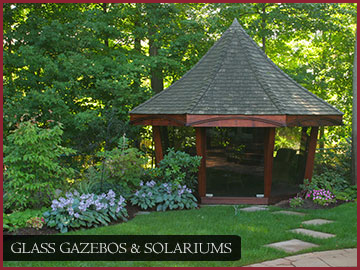 Architecturally pleasing, the pergolas provide a structural accent in your back yard. Make a statement. 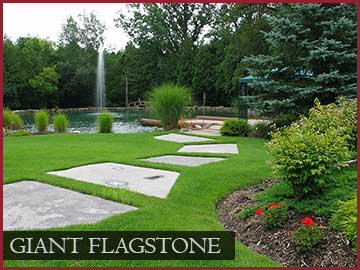 Giant flagstone are locally quarried and each one is unique. 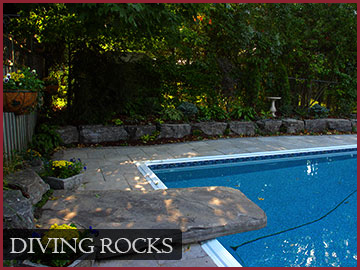 A diving rock is a structural feature that centers the focus of a pool or pond. 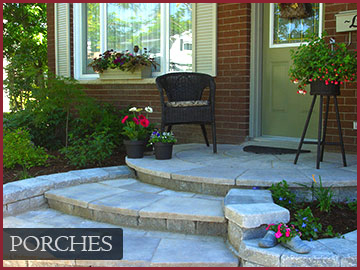 Steps provide grand entrance and access to your home. Varied Materials provide different looks and style making it functional and beautiful. The front porch is welcoming to guests and passers-by. Functional as entranceway and sitting area. Water is necessary for the natural eco system. 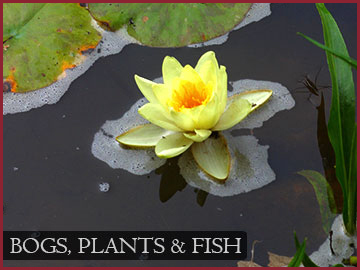 Balance is created by bogs for filtration and colourful plants for oxygenation. 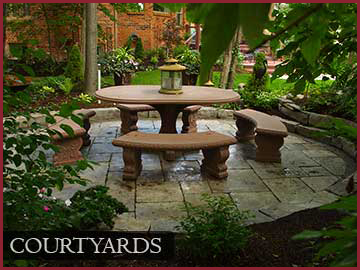 Accent your natural environment with a stone picnic table or a tree house. These unique features will provide hours of fun. 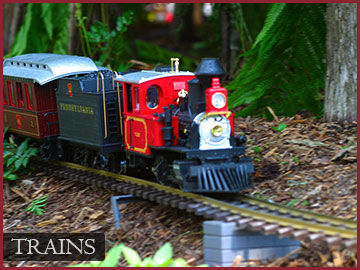 Garden Trains add an element of fun. Create a mini world and explore your inner child.